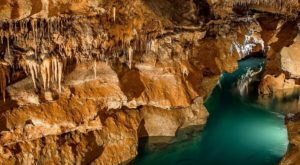 The Buffalo National River is filled with exceptional Arkansas adventures, from the obvious paddle trips to the lesser known trails. 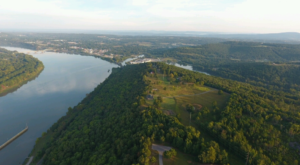 No matter how you prefer to enjoy this area, there’s one particular place that is definitely worth the detour. 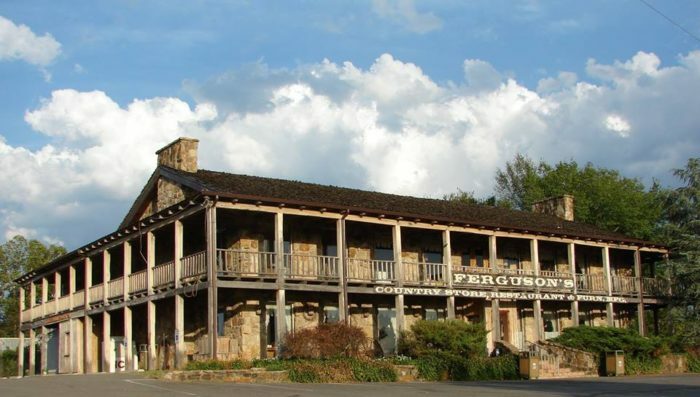 Ferguson’s Country Store and Restaurant is a spectacular two-story stone cabin filled with Ozark craftsmanship and pioneer-inspired meals. Perhaps the best thing about Ferguson’s is their homemade dessert. 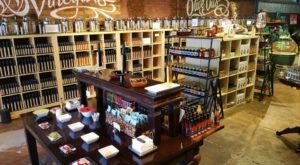 Give yourself plenty of time to explore and eat at this historic store. 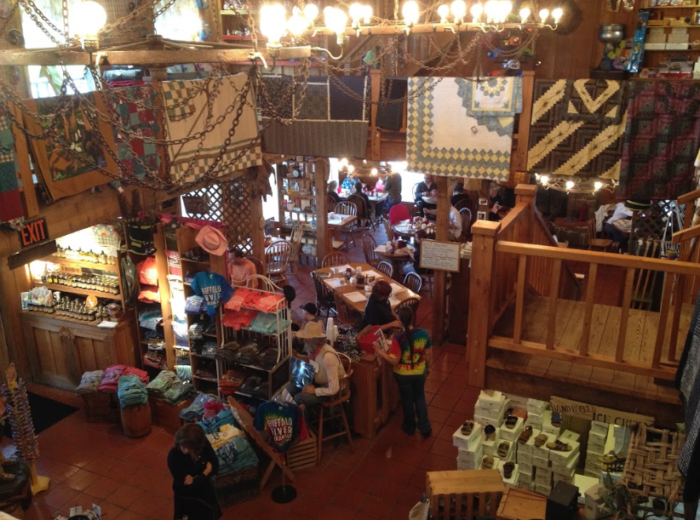 This massive establishment is Ferguson's Country Store and Restaurant. 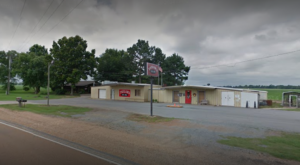 Facebook/Ferguson's Country Store and Restaurant. Solid cherry and oak furniture. 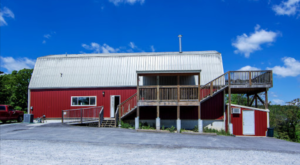 The two-story cabin puts any chain country store to shame. 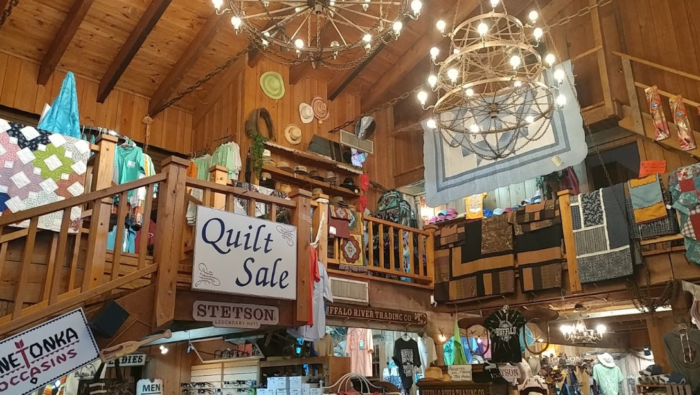 Ferguson's is packed with gifts, quilts, souvenirs, clothing, and more. 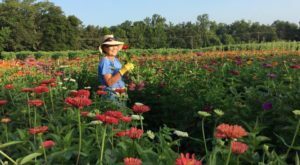 You can even upgrade your furniture with their oak or cherry wood dining sets that are handcrafted in the Ozark Mountains. Exploring the store will definitely work up an appetite. After you've perused both floors and found the perfect knick-knack, you can take a lunch break at their restaurant. Their home-cooked, southern classics will make your mouth water. Tuck into a Big Farm Hand Breakfast or try their daily lunch special. 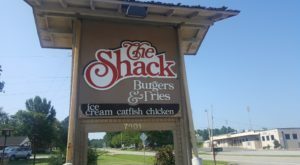 Their breakfast comes with everything an Arkansan could ever want. 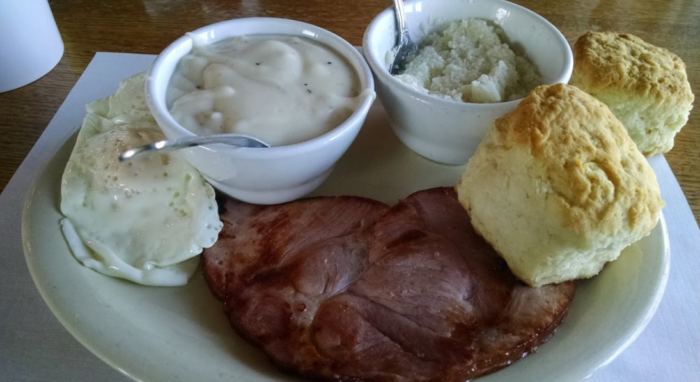 Homemade biscuits and thick country gravy, grits, and a slab of ham is the best meal to enjoy before hitting the Buffalo. 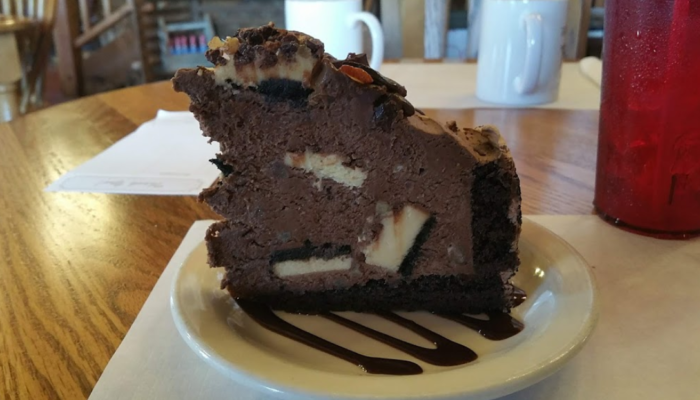 The best part of dining at Ferguson's is, without a doubt, the desserts. Folks will travel miles to pick up a pan full of Ferguson's famed cinnamon rolls. The hot-from-the-oven sweets are drizzled with a simple sugar-based icing that will have you reaching for a tall glass of milk quicker than you can call "Pig Sooie." 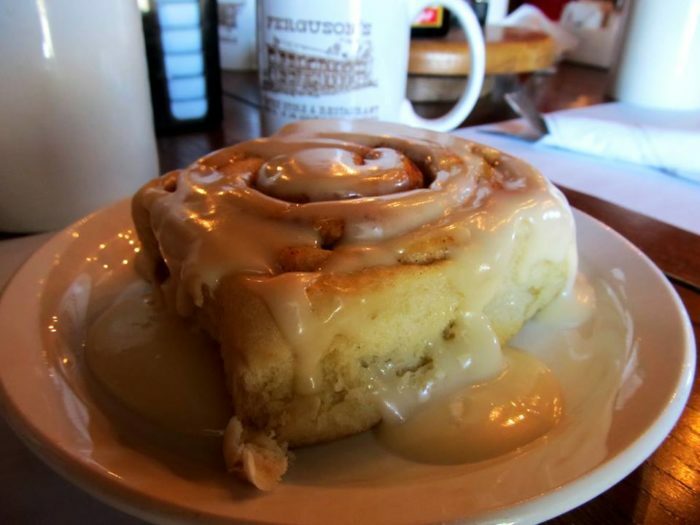 The cinnamon rolls have a dedicated fan base, but that doesn't mean they're the only dessert worth trying at Ferguson's. Indulge in a brownie and cookie dough mash-up or one of the freshly made cakes. Be warned though, the fruit cobblers are downright addictive. Whether you're wanting to satisfy a sweet tooth or need a new dining room set, Ferguson's is the place to go. 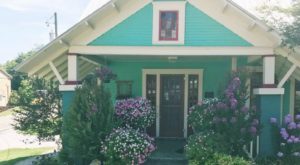 Stop by anytime Monday through Sunday from 8 a.m. to 4 p.m.
For a little bit more history on the store, visit their website or follow their Facebook Page to see the special of the day. Are you team cinnamon roll or team cobbler? 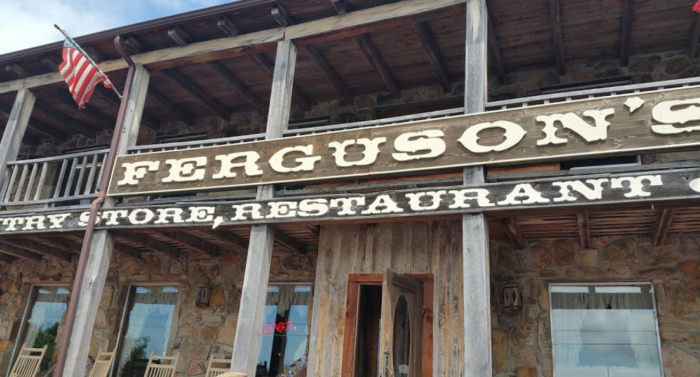 Tell us about your Ferguson favorites in the comments below! If you need to walk off that delicious calorie-packed meal, take this nearby fall hike.